Unfortunately for website owners, this sentiment has become increasingly common. 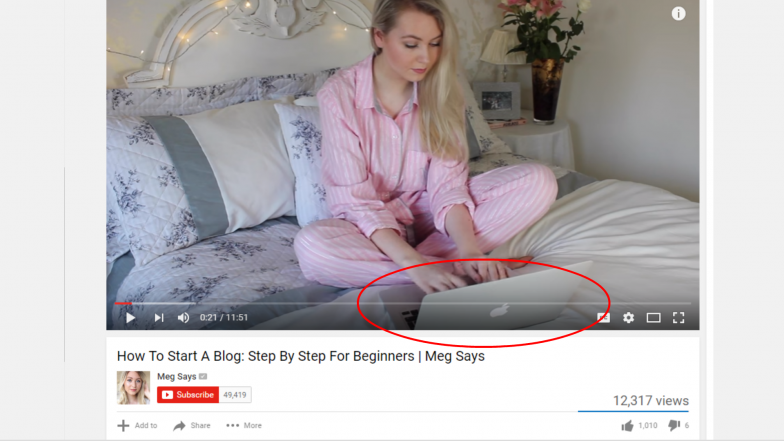 Most people are fed up with ads, so they install ad blockers to skip over this annoyance. Research says ad blocking grew by 41% globally in the 12 months up to June 2015. Let’s face it: ad blockers mean reduced advertising income for website owners. 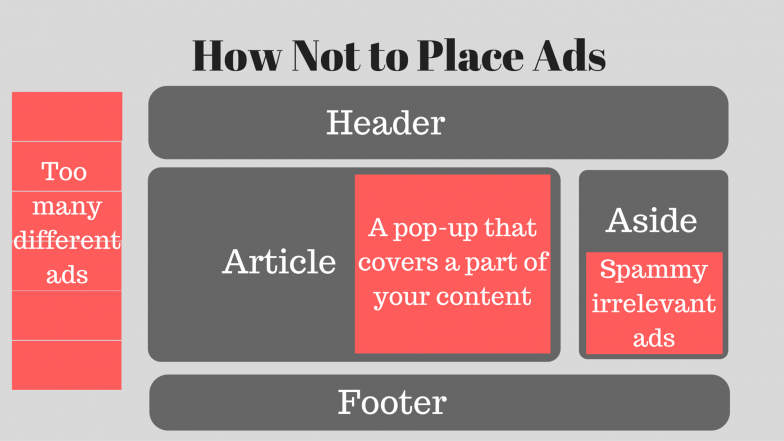 If you monetize your websites through ads, then ad blockers and ad blindness mean trouble. 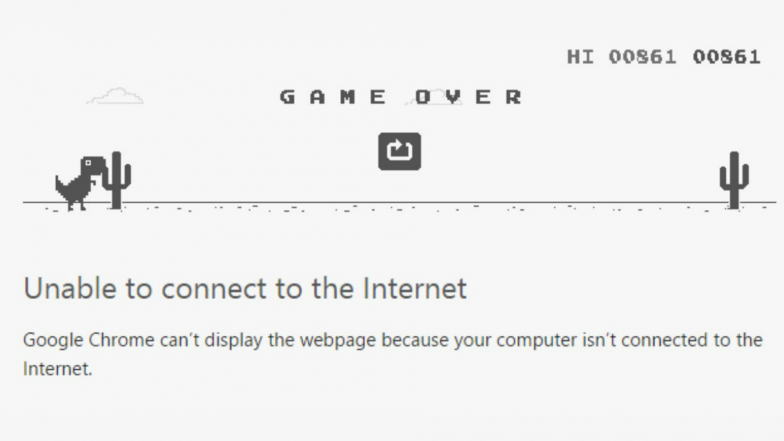 What can you do to discourage your visitors from blocking your ads? You need to create more positive ad experiences so that web visitors can enjoy your content without undercutting your efforts and chances to earn money from website ads. 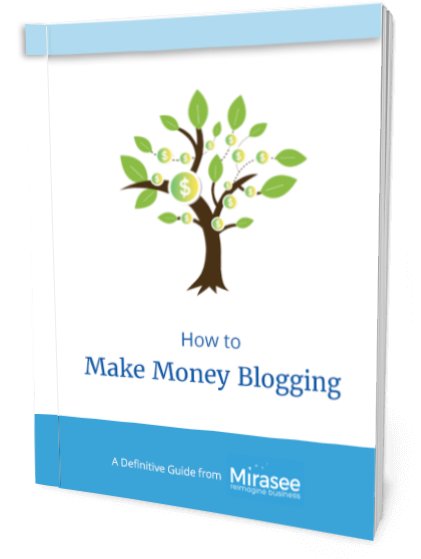 BONUS:Get Our FREE Guide, How To Make Money Blogging! 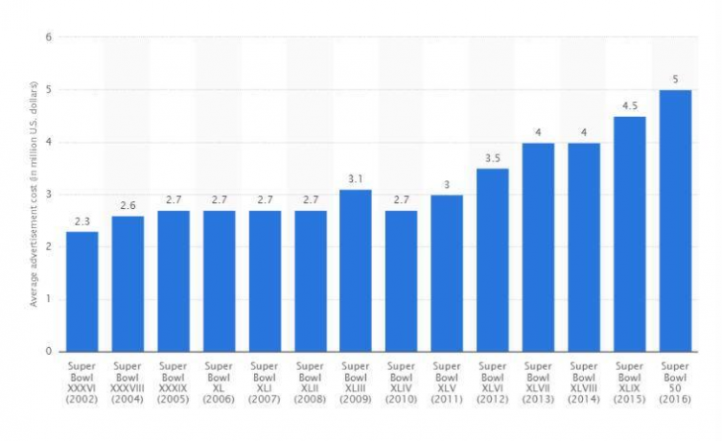 The more visitors you have, the higher your revenue generation potential. However, most visitors are not ready to buy your product or click your ads, so you need to increase the number of both new and returning visitors. If you want to not only attract new visitors but hold their attention as well, you need to establish audience loyalty. And the logical question is: how to do it? The answer? Put your visitors first. This starts with doing research on what your users want and then delivering it to them. If you’re able to do this, they will stay longer with you. Also remember that no matter how good your content is, visitors will leave your site if they are inundated with ads, which brings us to the next point: don’t cram your website with ads! 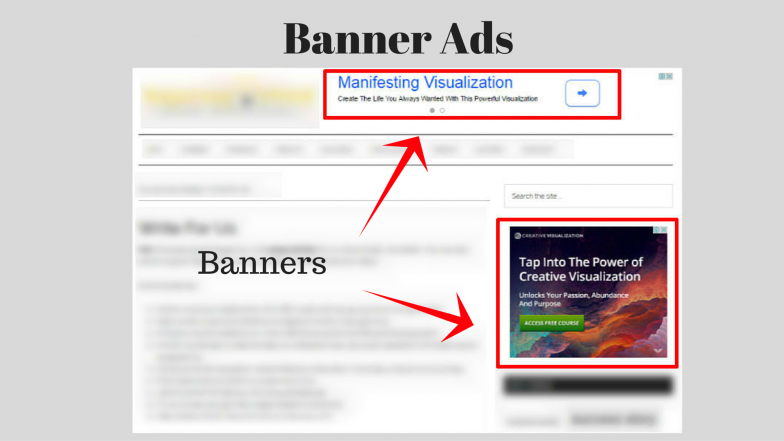 Although banner ads (a type of advertising that appears on the web in the form of a bar, column, or box to promote another product or brand) are still the mainstay when it comes to online advertising, developers and online marketers have had to develop many new formats to keep up with changing times. You would do well by integrating a few of them in your ad mix or at least experimenting with them. Video ads: According to one study, 59% of executives would rather watch a video than read text. Video demands less cognitive effort from the user while delivering a more engaging experience. You can hire advertising companies that offer video ad services to create an original ad. 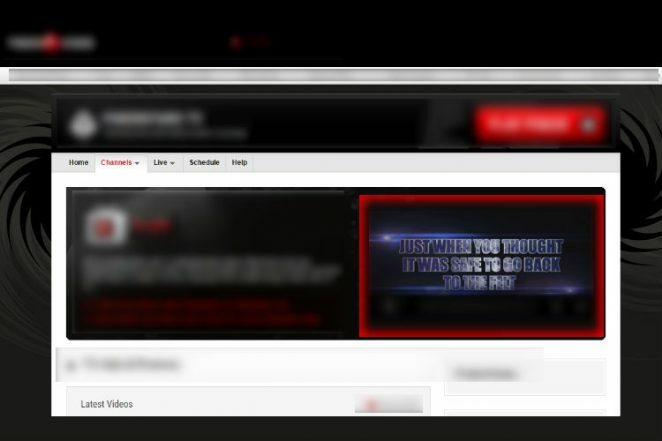 Place it as a pre-roll (a video commercial that plays prior to an online video) to grab your audience interest. Moreover, if your video ad is funny, uplifting, or even surprising, there is a good chance your visitors will share it with their friends via social media and expand your reach organically. Product placement: If you’re a movie buff, you might have noticed how brands subtly use product placements to promote products. As a website owner, you can adopt a similar approach—create a feature that has some casual link with the advertiser’s brand, share pictures on social media with their logo on it, or insert a video with the product placement. People may not like ads, but nobody’s averse to branded content because it doesn’t demand any action on the user’s part. Can ads actually be interesting? If you know your audience and you test your website ads to analyze them and improve advertising effectiveness, eventually, you will find out the types that work best for your visitors. If you’re interested in optimizing your ads, you have to pay attention to their placement. Sub-optimal placement can reduce the number of clicks on your ads and, therefore, the money you could be earning from your traffic. 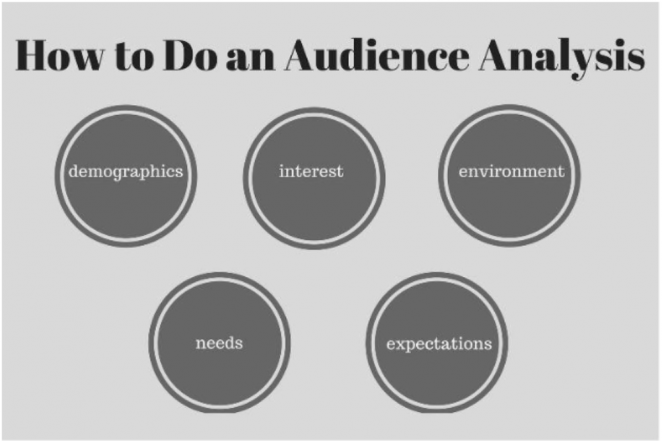 To begin with, you need to analyze your users’ behavior: Where do they spend the most time on your website and what are their main topics of interest? Use Google Analytics to find out. 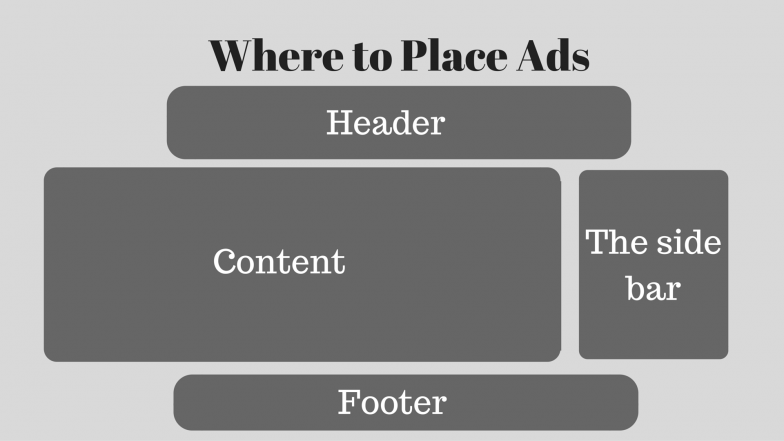 Although the most common types of web ad placements are the sidebar, the header, the footer, and inside or under the content—there’s no shortcut to finding which placements work for you except running A/B tests. Email marketing: A good email list can be a great way to sell products or generate traffic for your website. Most people would agree that their mailboxes are full of spammy content. However, if your email strategy includes personalization and is focused on your audience’s needs, it’s more likely your email would be read. Social media: If you run a brand page on social media and your subscribers interact with your posts, you can use this channel to promote products and services. 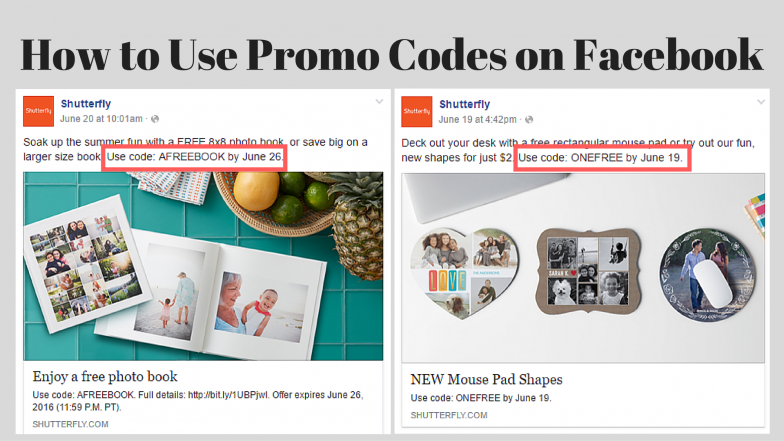 Give them a unique offer like a promo code or an exclusive discount. And another important thing is to post engaging content on social media to grow your audience. Guest blogging: An effective way to expand your audience and promote your product is guest blogging. Everyone can make the most out of it: a blogger gets a well-written post, and you get links to your offers. But get ready to face rejections as everyone puts quality first. And yes, this type of promotion is time-consuming and labor-intensive, but the benefit is obvious: you promote a product within an already-established community. Once your product is well-promoted, you can attract more visitors and, therefore, increase your traffic and website monetization. However, keep your ear to the ground so you will know of upcoming marketing trends. 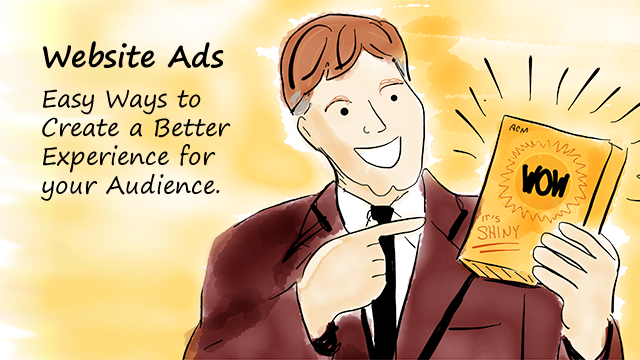 Your ad revenue can keep growing if you know how not to turn off your audience. Before placing an ad on your website, think if it would capture your interest. If you’re doubting, it’s more likely that you’d better pass on it and find alternative ads that would be interesting and unique. Once your visitors react well to your ads, you start earning more without sacrificing your reputation and trust. What types of website ads do you find annoying? Which ones grab your interest and come across as helpful? And what can you learn from the ads that work on you? 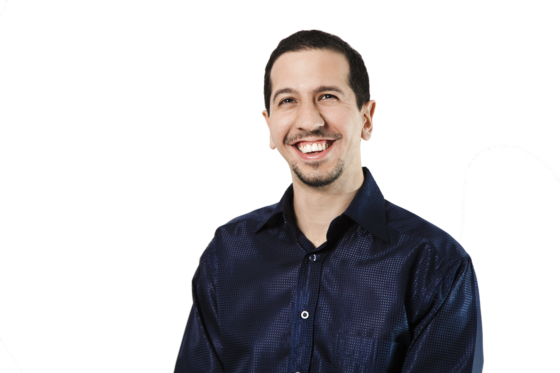 Andrew Howe is a young blogger who wants to keep growing as a professional writer. He runs AdverbLess tool, and he surfs the internet to expand his knowledge to stand out. Drop him a line at andrewhowe306@gmail.com or follow him on Twitter. Excellent article and links….most helpful and timely..